Our Price: $25.24 Ships in 1 day. Publisher: The Brewery Press, 1980. Soft Cover, 102 pages, 8.5 x 11.0. 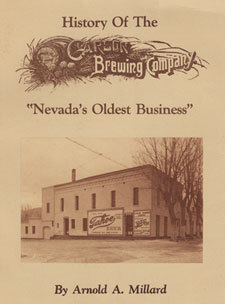 In 1860, European immigrant Jacob Klein came to Carson City, Nevada and founded a brewery that would continue to make beer for nearly a century. 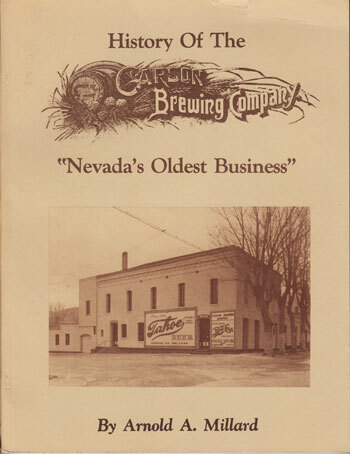 In his book, "History of the Carson Brewing Company: Nevada's Oldest Business," author and historian Arnold Millard chronicles the complete saga of this historic institution and its long-term impact on the community which it served. Nearly 100 illustrations help tell the story.